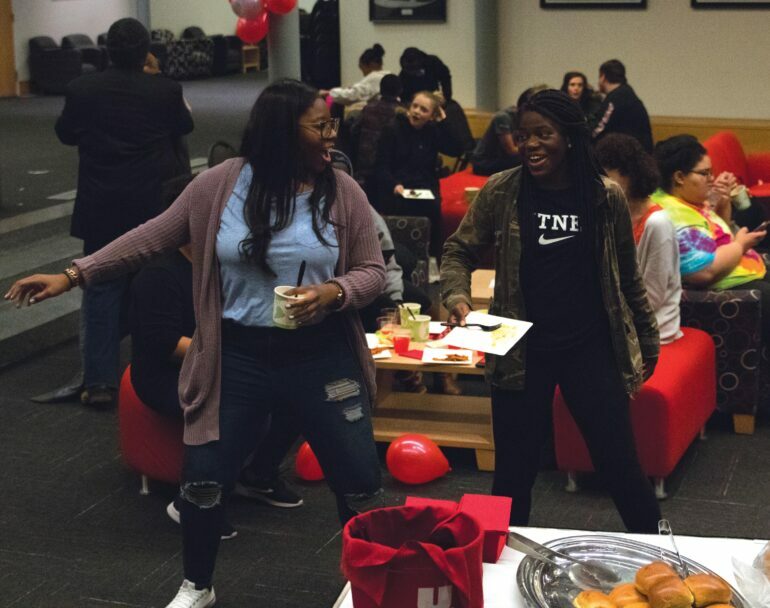 February is Black History Month, and the Union of African American Students are celebrating their culture while getting USD students involved. The theme for USD’s Black History Month is “Who am I? I am Black History” and one main goal is to discuss the significance of appropriation versus appreciation. For each event this month, members of UAAS will educate the university about major figures in black history. Santina Lokonobei, UAAS co-president and senior biology major, said she’s excited to get students involved in Black History Month. The UAAS has organized several events to hit on all the bases of black history and culture. These events include a Dynamics of Black Love Panel on Feb. 13 which will focus on an interactive discussion on the nature of relationships in the black community and how couples deal with day-to-day issues in society. They will also be hosting a free showing of “Black Panther” on Feb. 19, Marvel’s first black superhero film. Throughout the month, Lokonobei said she encourages all students to come to the events and be part of history. The African Student Association (ASA) also organizes events to educate students about African culture. Although ASA hasn’t planned any events for Black History Month, ASA president and junior sociology major Diamond Hall said the events organized by UAAS are a great opportunity for all USD students to get involved and learn. Marcus Destin, UAAS co-president and sophomore communications major, said he’s looking forward to sharing the importance of Black History Month with the USD community. Hall said her favorite part of ASA is learning about the social issues in Africa and organizing events to teach students about them. When it comes to dealing with ignorance, Hall said her best defense is to have an open conversation. Lokonobei said one of the main goals of Black History Month is starting the conversation and allowing people to ask questions.